You hear all the time in sports that someone is an explosive athlete; what does this mean and how do we become explosive? Let’s start with a simple definition: the maximum rate of force of a muscle. Standard barbell and dumbbell movements do not build explosive power because in the majority of the movements control in all three contractions is necessary to complete the movement correctly. Because we need to control the weight through 3 separate contractions an exercise will build strength not explosive power. However do note that increasing maximal strength has an effect on how explosive someone is. We can turn the Overhead Press into an explosive power exercise simply by letting go of the weight at the top. 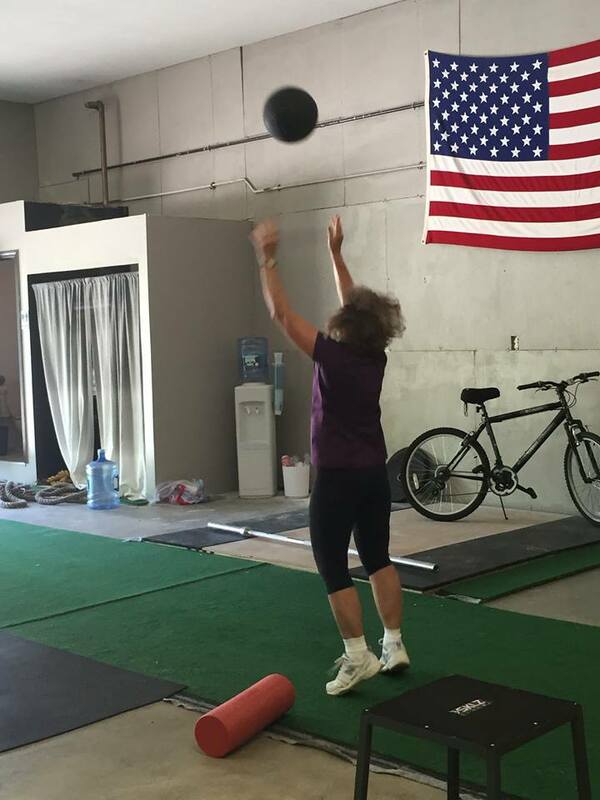 You cannot do this with a barbell that would be too dangerous; so we use a Medicine Ball. In performing a Medicine Ball Throw Overhead we will be releasing the weight at the top of the concentric contraction allowing use to push with maximum force. Adding explosive work to a routine is great way to increase your athleticism. It is notable that you need to be careful performing explosive power work. It is far more dynamic than strength training so it has a higher rate of injury. Even though it is “explosive” it needs to be performed with good technique and form.